I thought about how it’s important to leave some kind of record. The more I learn about past relatives, the more it helps me understand why we are the way we are. Those mad streaks of creativity, entrepreneurship, and the love of beer that seem to run through my veins or the odd shape of my feet, sinus problems, are all passed down. The men in our family don’t live long and the women live forever. I never met my grandfathers and my sons did not meet their grandfathers. There are some important things people need to know about them, even if it’s just a few family members looking at this stuff in 100 years. There are a lot of things a grandparent can teach us, even if all we have is a few letters and photos. Like what it took to move from Finland, Ireland or Germany in the 1800s and start a farm in Pondera Montana or a factory in Baltimore, Maryland. What’s very cool is that over time something simple like a torn piece of stationery that somehow survived from 1884 can tell you a lot or fill in some blanks. Simple things like where we were, what we were. Torn Company Stationery from 1884 with My Great Great Grandparents names on it. Often successful people get hung up on leaving a legacy like some sort of quest for immortality, but in the end it’s some of the simplest things like some drawings or an old box of photos are all that survive. 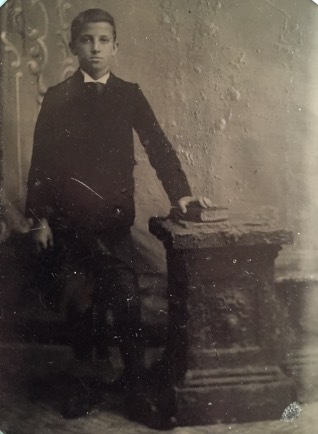 I find it kind of amazing that some photos or stationary survived for over 130 years, in moldy boxes and in photo albums passed down over a century. All the other stuff like homes, businesses, cars, boats, just fade away and over time and turn to dust. Today we can type an old address into Google or search ancestry.com for names, places, dates and put the pieces together. Start to think about simple ways that you can pay it forward and leave something behind for future generations. They can learn something even from the simplest things you did. 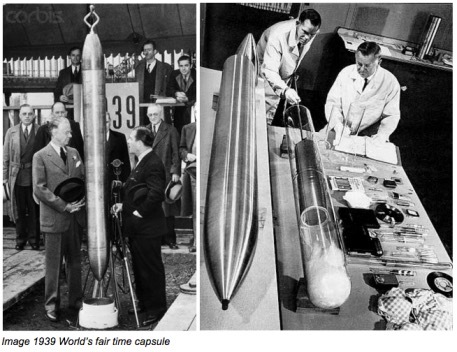 How to create a time capsule that can be found 100 even 500 years from now. You’ll need just one moisture and mold resistant box. You should limit this to just one box because, based on my experience, in the end, (hopefully many years from now) this will be about all that future generations will be willing to hold onto. Eventually, your box will be consolidated into other boxes of photos, family records etc. So make it a good one. Once you have this nice box, write a letter explaining a little bit about what the box includes, a personal manifesto, or some info about the family. This is the introduction to your family time capsule. Hopefully it will be convincing enough so that if it’s found years later, your heir will want to lean more. Go through all the other old photos, letters etc. that mean something to you, organized by size. Drop them in a plastic baggie and include them in the box. Once a year export every photo from that year and save it to a decent quality thumb drive or memory card. You can include photos of kids’ artwork, digital copies of important family documents, birthdays, important events, anything important. You can get a high quality 64GB thumb drive for about $17 and the price goes down from there based on size. Avoid saving everything on one big hard drive. Over the years, things tend to get lost so only a few of your thumb drives or memory cards may make it into the next century. It’s better to have one or two for each year and include another copy of your time capsule letter on the drive. Keep the plastic packaging the drive came in and label it with the year then seal it up again and put it in the time capsule. I’d avoid using CD-ROM storage as they can get scratched up and don’t hold much. But if you have a bunch, don’t worry about it, include them in the box. Go ahead and include stacks of old photos,slides etc. In the future, digital archaeology companies like legacy box will be able to convert anything like old super eight films to digital and vice versa. For now memory cards and thumb drives are an inexpensive way to create archives by year. Take photos of important documents using your smartphone, or the free app Evernote, and export these at the end of the year then drop them onto your memory card or thumb drive. Think of any cloud storage you use like dropbox, Google Docs, iCloud as sort of a temporary backup that may or may not be around in 50 years. Years from now, when your iPhone 80 is long gone, these small digital nuggets will include a lot of great digital info on every photo including the date and often exact location where the images were taken. 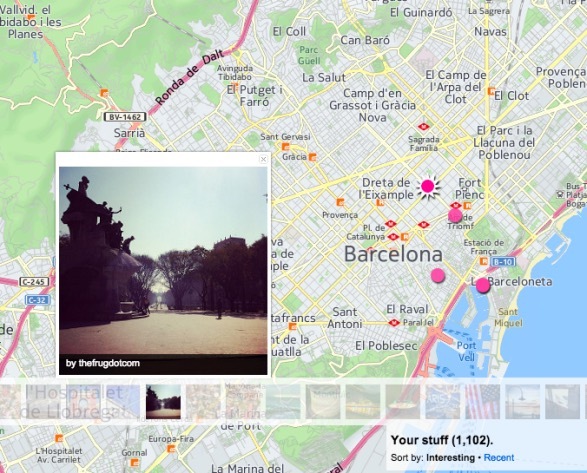 Even now, folks can upload these to upload these to Flickr and create a map of your travels. Even the simplest local things like a restaurant you enjoyed will be interesting to future family members when put in this context. EXIF data adds exact locations to photographs, allowing photos to be uploaded to an app like Flickr maps. Cool Flickr trick. Add /map to the end of any album url to see uploaded images on a map. We can store tens of thousands of photos and documents on a simple digital drive. Knickknacks and other personal items tend to disintegrate or get chucked it over the years. Remember this is a time capsule not a rental storage unit for family junk! If you write, create art, or just keep a journal, remember people often become interested after you’re long gone. Whatever you write or create can become important to someone many years from now. Why take the time to sort through all these old photos, letters, and files? In the process, you’ll learn a good deal about yourself and your family. You’ll realize that life is short and appreciate what others did to get you here. You may also help a future relative understand a little bit more about themselves.